Last week I asked our Athletic Director if there was going to be any way to actually keep to the spring sports schedule that was written well before March decided to host winter for a few more weeks than normal. Unfortunately, not likely for Golf, Track, Baseball, and Softball. Tennis and Lacrosse have a chance if the sun stays out and we can keep the temperature above 40 degrees this week. Not to worry though. All of the games will be played; eventually! Here is to...spring? My wife and I were fortunate to have our boys in the same room for about twelve hours over the weekend and it was good to catch up. As they get older it is so hard to get them in the same place at the same time so you have to try to make the most out of every minute. We did learn a new board game called Catan that apparently has been around for a long time but is a current hit with twenty-somethings. I did not do well, to say the least, but we had fun! Starting the Process: Last week we interviewed architects and are in the process of negotiating with a single firm. Once hired, they are going to get right to work to help us design the security features that will become a separate proposition on budget vote day of up to $2M (no increase in taxes). It is looking like the order of operations will be interior lock upgrades, control, camera, and threat assessment software updates and tie-ins, and front entrance work at each building. We will certainly have exact details prior to vote day for your consideration. 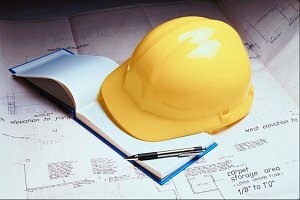 This project will then lead us into a larger project in the fall (also no increase to taxes) that will conclude the security upgrades and include many different items that are on our five-year facilities plan. We will share all of those details as we get closer to the fall. Abby's Song: We often talk about extending learning and authentic learning for our students. I got to witness a classic example last week at Onondaga Road Elementary. A fifth-grade student named Abby wrote the lyrics to a song. Her music teacher, Ms. Hess, helped her to write an actual song to support the lyrics. Then, Abby got to teach her song to the third-grade chorus. I was invited to watch Abby and the third-grade chorus perform the song and it was GREAT! The working song title is "Abby's Song" which is fitting, but I am thinking that it might change as she perfects her masterpiece. Cool stuff! Upcoming Week is Busy: This week is MEGA busy, but with great things. On Monday we get to congratulate a large group of newly inducted National Honor Society members, and that is always a great evening. Starting on Tuesday, in faculty meetings, I get to congratulate and recognize our employees who have worked 25 years or more (in five-year increments) in each building. These individuals help to make up the roots of the District and it is always my pleasure to help them to be recognized in front of their peers. On Tuesday night I hope that you are planning on joining Ms. Coholan and me in the West Genesee High School upper gym for an evening to talk about substance use and mental wellness in children. 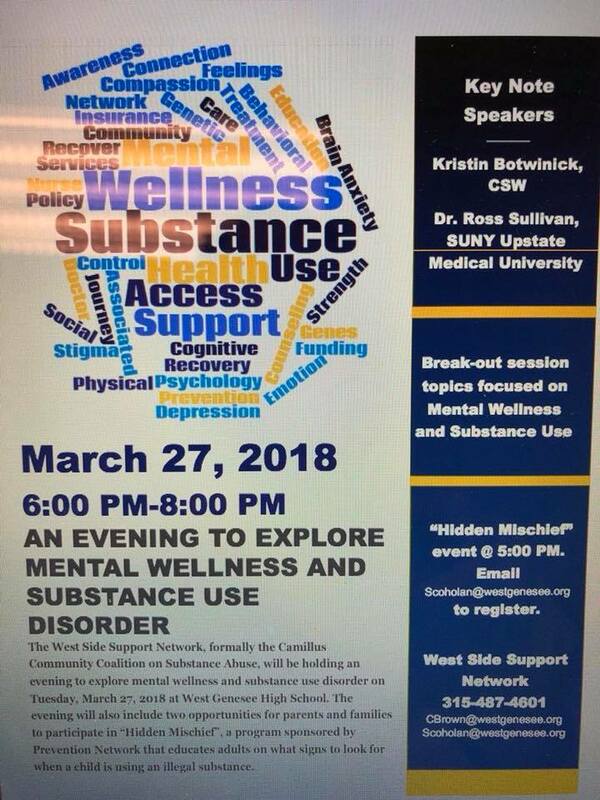 We are also hosting the "Hidden Mischief" room, provided by the Prevention Network (please e-mail scoholoan@westgenesee.org to pre-register for this portion of the evening). We did not do television advertising for this event on purpose so that we have a local and intimate crowd to be able to interact with some of the biggest names in the business. If you are a parent of a middle through early college student, I think you will find the evening useful. 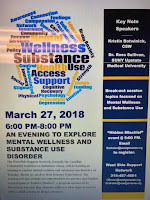 In addition to two keynote speakers, and the "Hidden Mischief" room, we have breakout sessions by the Camillus Police Crisis Intervention Team members who will be speaking about mental health and substance use cases in our District and community; one of our Social Workers, Gayle Mallore, who is going to talk about mental wellness in schools; and Jordan Eubanks from Syracuse Behavioral Health who will be speaking about his time as a student user and his road to recovery. We are trying to package all of this plus tables with all of the local service providers for substance use and mental wellness in about two hours. Click here for more information about the evening. Hope to see you there! Thursday is a little unique for me. Back when I was much younger I played guitar in a classic rock cover band. When I came to West Genesee, I found some colleagues in Mr. Mercer, Mr. Kesel, Mr. Ficarra, and Mr. Stachnik who also played or currently play music. Two years ago we performed in the high school talent show and we had a blast. We are returning to the stage this Thursday night to perform, loudly, a sing-along song or two while judges evaluate the real talent, the student performers. The event starts at 6:30 p.m. and we play at the end. Luckily, we have Friday off to recover. I am not quitting my day job for a career in rock and roll, and you will see why in just a few short days. Great Role Models: I tell people all the time that if they want to see one of the best Girls Basketball coaches to go watch a Coach Spreter Varsity Girls Basketball practice, or watch him work with girls of all ages in summer camp. He just gets it, plain and simple. At the same time, the young women who have played for him have risen to the challenge of being top role models and athletes. While they did end up losing in the New York State Final Four (foul trouble proved to be too great to overcome), it was interesting to watch social media reaction to each post about the game while it was in progress. Retweets, favorites, and quotes were strong; people from all over were invested in this team. We are very proud of them for how they represent themselves, our school, and our community. They were the last team we had still in play for the winter and now if the snow ever melts, we can start spring competition! Students Honor Students: Last Wednesday was National Student Walkout Day and as I had previously mentioned, our students planned an assembly outside for 17 minutes to recognize and remember the 17 people who were killed in Parkland, Florida. Well over half of our high school students participated in the event and it was incredibly well run, and very powerful. I appreciate the media for respecting our wishes to let it be a student event and to let them show emotion away from cameras. Seventeen student leaders read one-minute bios of each of the victims and you could have heard a pin drop. To be respectful to the students, I have only shared this one picture so you can see the size and organization of the event while allowing their privacy and emotions to be preserved. What did we learn from this? We learned that students can express themselves in a peaceful, non-disruptive way when they work well with the adults in the school. That mutual respect is something that continues to help us to grow as a school and community. Upcoming Events: There are some important dates to remember. The first is March 27. We will be holding a public forum through our West Side Support Network and the purpose will be to feature speakers and resources about substance use disorder and also speakers and resources for mental wellness. Our two keynote speakers are Dr. Ross Sullivan from Upstate University and Kristin Botwinik, who is a highly regarded Clinical Social Worker who works with children. Additionally, the Prevention Network is going to conduct a seminar titled "Hidden Mischief" where they have created two "bedrooms" full of warning signs of substance use and mental wellness. This seminar requires a pre-sign up (please email Shannon Coholan at scoholan@westgenesee.org to register) and it came to us highly recommended, so don't miss out! At right is the flyer with the event information, and I hope to see you there. The other date is April 3 at 7:00 p.m. in the West Genesee High School Large Group Instruction Room. Our School Safety Committee is going to be assembled that night and will be presenting who they are and what they do to all of our PTO/PTA/PTSA and SEPTSA groups. This meeting is scheduled as an outcome from our February 28 public forum on safety. Hope to see you there. The year was 1994 and "How Sweet It Is (to Be Loved by You)" by James Taylor was playing at my wedding, The Lion King and Forrest Gump were released, and Justin Bieber was born. In Camillus, New York, the Girls Varsity Basketball team was in the New York State Final Four, and the Camillus Mall was still around. The Final Four: It is very sweet to be celebrating the Varsity Girls Basketball team as they advanced to the New York State Final Four with a win over Colonie on Saturday morning. None of the players were alive the last time this happened, but they are determined to make their mark in the history of West Genesee Central School District; and why not? The team is solid, top to bottom and has Coach of the Year Stafford Spreter at the helm, and a great supporting cast of assistants. They play their semi-final championship game this Saturday at 9:00 a.m. at Hudson Valley Community College, and the championship game is next Sunday at 10:00 a.m. To wish them well on their quest to make West Genesee history, I would ask everyone to wear their West Genesee gear on Friday (if your boss needs a special note, let me know)! Music in our Schools: March is Music in our Schools month and it hasn't disappointed. Our musicians and teachers hosted the 50th Festival of Bands, as well as the 7-12 Choral Festival over the past two weeks. Those two concerts alone featured nearly 800 of our students with more concerts and recitals on the way! One West Genesee senior, Joanna Maressa, was featured recently on Carrie Lazarus's special titled Extraordinary Talent. She plays the violin and fiddle and will be attending Johns Hopkins University on a full scholarship to study engineering. She is passionate about her craft. How passionate? When we were going through the recession years ago, third grade Joanna came to my office and played her violin to try and change my mind about having to reduce the third-grade strings program. I was not able to accommodate her request, unfortunately, but even at a young age she was determined, and I certainly appreciate that! Congratulations to Joanna! Click here to view a video or her appearance on Extraordinary Talent: http://www.localsyr.com/news/extraordinary-talent-of-the-week/extraordinary-talent-of-the-week-joanna-maressa/1014560673. School Safety Task Force: District Attorney William Fitzpatrick tapped me to lead a countywide subcommittee for teachers, students, and parents as a part of the larger countywide School Safety Task Force. The goal of the task force, in general, is to create some guidelines for schools around the county for teacher and student training with regards to safety, better-securing schools, and figuring out how to get funding for schools to accomplish all of these tasks. We have held our own forum about safety, but I will likely try to offer one for parents, staff, and students around the county to attend if I can find a big enough venue. The committee hopes to be wrapped up by the end of the school year. Students Stand Strong: This Wednesday is the "National Student Walkout Day". Students from around the country are scheduled to walk out of school at 10:00 a.m. to hopefully encourage Congress to help not to have another school shooting. The walkout is scheduled to last 17 minutes. I met with elected members of our student body to ask them their thoughts and they wanted to organize something non-political by holding a remembrance for the 17 people killed in Parkland, Florida on February 14. The Supreme Court Case Tinker vs. Des Moines case in the 1960's established that while students have a right to organize around a cause, school districts have a right to establish a time and place. The students were mature beyond their years and I am satisfied with their plan; so we are giving them a time and place. I am most concerned about student safety, so we sent a letter home to high school parents only, have asked the media to stay away from school grounds until 10:30 a.m., and have worked with the Camillus Police to provide assistance. Students can voluntarily participate or not, and our staff are volunteering to be with the students who choose to participate while other will be with the students who choose not to. I think it will go well and I will write about it next week. There will be no additional information shared publicly at this time. Athletics Updates: I rarely say this, but I think we all needed a snow day on Friday. I am not sure that the Girls Basketball team agreed with me that day, as they were supposed to play Cicero-North Syracuse for the Section III title Friday night. Their game got shuffled to 9:00 a.m. yesterday morning at the Carrier Dome and it was an instant classic. Down the stretch, our Wildcats were able to pull away and win the section title for the second time in a row. For any team or Marching Band to repeat a championship these days is not easy, and for a team sport like basketball with so few players, it is on the edge of being remarkable. Our Girls Basketball program has talented players for sure, but more importantly, they have a vision and dedication for success as a program. Hats off to all and congratulations! They will begin their quest for the New York State Championship (I wouldn't count them out) next Saturday in Troy, New York. Congratulations to the coaches and players; you continue to make us very proud! Our winter Cheerleaders ended their season at the New York State Championship on Saturday after a great campaign. They finished with a strong performance overall and their future looks bright as well. In Track, Esaias Brumfield took home a medal in the Indoor Track State Championship as a member of the the Section III Intersectional Relay team placing 5th, with Wildcat relay member Esaias really helping out. The 4X400 relay team of Meg Delia, Kelsey Fox, Abby Kuppinger, and Caitlin Mills also placed 13th overall in New York State Competition. Again this is in ALL of New York State. Congratulations! 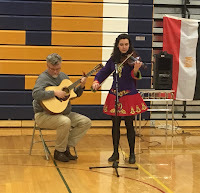 Culture Fair 2018: The weekend was also busy with the Culture Fair at the high school. I really enjoy that event. In its tenth year, I always have a great time watching community members celebrate their culture. I was one of the first people there this year so I got first choice at all of the great food! Thanks to our volunteers, committee members, students, and attendees for another wonderful event. Click here to view a photo array of some pictures from the event. 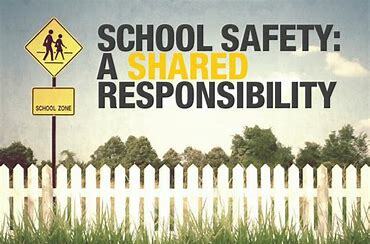 Discussing Safety: Earlier in the week we held a public forum/Board of Education meeting to discuss school safety. The meeting was very well attended at close to 90 people, including community members, parents, students, and employees. For about two and a half hours we listened to each other, shared concerns, potential solutions, and realized that we are in this together. I found the meeting to be powerful, emotional at times, and completely valuable. I think everyone who attended walked away feeling heard and comfortable that we have a plan moving forward. What is the plan? This isn't the place for me to share it with you. All parents in grades K-12 are going to get a physical letter from me that contains everything you need to know to get you up to speed. Also included will be a "one pager" to help parents work with their children if they have anxiety about school safety, what they see on the news, and just life in general. Aside from that resource, ALL of our counselors and social workers are available to provide additional resources. Students Share their Views: I would like to end with a student story. Last week, several high school students and I had a meeting with Congressman Katko. These students, unbeknownst to me, had expressed themselves outside his office during February break. Senior Anna Kate Waters had initiated a paper backpack initiative where students had written ways to feel safe at school. An assistant for the Congressman came out and took their names down and also collected about 200 of the backpacks from them. Fast forward to last week, and I received a call to meet with the Congressman after school, and with the students, at his office. The meeting lasted about an hour and the dialogue that the Congressman and the students had was open and frank, both ways. The Congressman was truly impressed with the knowledge and research the students had done about him, and the issues. Several times he openly commented that he had to remind himself that he was talking to high school students. The students truly felt heard, and I was able to get a head start on some grant money for some additional resource officers. You would have been as proud as I was to watch democracy in action and how well our students represented themselves and our community. 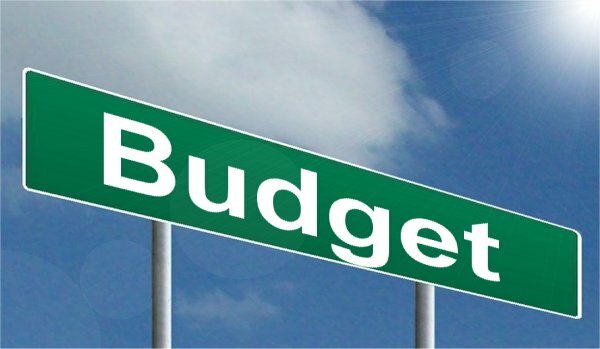 Budget Presentation: I will be presenting the budget this week on Wednesday night at 7:00 p.m. in the high school library. On Thursday I will be attending my first meeting of the "School Safety Task Force" that was created by District Attorney William Fitzpatrick. I am happy to be one of three superintendents selected to work with all elected officials, emergency management personnel, and law enforcement to see what we can collectively do as county and region to keep students safe.